By Keith Cowing on March 31, 2006 12:01 AM. Editor's note: As best as I can calculate, NASA Watch is 10 years old today. It started as "NASA RIF Watch". The "RIF" was dropped when the threat of a RIF under Dan Goldin subsided. Looking back at how things were in 1996 and flashing forward to current events i.e. Contractor layoffs and RIF threats, program cuts made with no consistent underlying rationale, NASA cost numbers that can't be believed, a financial management system that is still broken, employees afraid to speak out for fear of retribution, vexing space station and shuttle delays, and a Public Affairs Office that stumbles on a daily basis and often can't get out of its own way - Gee, it looks like not much has changed. Continue reading Ten Years Online. By Keith Cowing on March 30, 2006 6:17 PM. Editor's note: Monday morning, at the opening session of the Astrobiology Science Conference in Washington DC, NASA Watch reported that Andrew Dantzler, Director of the Planetary Science Division at NASA HQ told 700 astrobiologists that the proposed FY 2007 cuts in Astrobiology did not sit well with the research community noting that "it was was not a good shot [at a budget] - we could have done better". He then said that based on input he had been receiving that it was "clear that we should money back [into Astrobiology]" and that "we have decided to put money back - and we will be doing that as soon as we can." Carl Pilcher repeated this claim at the conference later that day. Reliable sources now report that at a Science Mission Directorate monthly meeting at NASA HQ today it was noted that no additional funds will be given to Astrobiology and that someone is going to have to go tell the astrobiologists that the claim made by Dantzler and Pilcher is not true. By Keith Cowing on March 30, 2006 3:57 PM. Editor's note: According to discussions with several reporters in the past few minutes, a teleconference with Mike Griffin was to be held today from 4:00 - 5:00 pm EST. Reporters were called about this event by Doc Mirelson in the NASA news room starting yesterday. Once again, as been the case in the past few months, I did not get an invitation to participate. Oh well. Note to NASA: Other than trying to keep my readers informed, why should I pay any attention to complaints from NASA HQ PAO about the accuracy of things on NASA Watch given that you go out your way to deny me access to more accurate information? C'mon Mike. Where's the Transcript? By Keith Cowing on March 30, 2006 3:49 PM. Editor's note: C'mon, Mike. I put in a formal request for a transcript of the event with Tom DeLay yesterday. It has been nearly a week since the event in question. Dean Acosta told me that he did not have a recording or a transcript when I spoke with him yesterday. Now you claim that you have the transcript. If so, then why haven't I been sent that transcript? Why haven't you posted it online? You folks are going out of your way to let the misunderstanding about what you did or did not say at this event persist - and then you turn around criticize the media for working with what they can dig up on their own. And you chose to highlight this communications dysfunctionality during an employee update wherein you are unveiling a new agency communications policy. Go figure. Editor's update: According to Mike Griffin on the webcast, after sitting on the transcript, NASA is now going to release it. By Keith Cowing on March 30, 2006 2:50 PM. "The resulting new policy, which will be available today on our Web site at http://www.nasa.gov/commpolicy, contains a statement of principles and revised policies that will enable better cooperation across our agency and more effective communication with the public." Continue reading New NASA Media Policy. By Keith Cowing on March 30, 2006 12:55 PM. By Keith Cowing on March 30, 2006 10:39 AM. "Even more serious are the cuts and money transfers going on right now in the 2006 budget from science to human spaceflight. Unfortunately, even if Congress were to increase funding for NASA science, such funding could be quickly lost. Administrator Griffin already has said that science will be used to cover funding shortages for the "higher-priority" expenses associated with human spaceflight such as the shuttle and its replacement. Barring specific direction from Congress forbidding NASA to make such transfers, the prospect for NASA space science is grim." Griffin Email on "Endorsement Issue". By Keith Cowing on March 30, 2006 9:00 AM. "The space program has had no better friend in its entire existence than Tom DeLay," Griffin said Friday of DeLay's legislative support of the agency. "He's still with us and we need to keep him there." Editor's Update: Mike Griffin may not have meant to endorse Delay for re-election - but that is exactly what he apparently did. Editor's note: The following email exchange occurred between Mike Griffin and a NASA Watch reader regarding the impression many have that Griffin endorsed Rep. Tom DeLay last week based upon a newspaper article. Continue reading Griffin Email on "Endorsement Issue"..
By Keith Cowing on March 29, 2006 10:33 PM. "Dr. Thomas Goodwin, project scientist for NASA's Integrated Cell Science Project, has been invited by the University of Washington to share his research data on using nanosecond pulsed electromagnetic field technology to grow brain tissue from human brain cells harvested at the time of surgery. ... Dr. Gordon, the original investigator of nPEMF in the US, considers Dr. Goodwin's data "a seminal study defining the efficacy of this and other technologies alleged to restore tissues following trauma"." By Keith Cowing on March 29, 2006 5:01 PM. Editor's note: Gee, this sure sounds like a political endorsement to me. I guess Mike had a chat with a lawyer about the Hatch Act. "The congressman did pick up surprisingly out of the norm endorsement over the weekend when NASA director Michael Griffin asked those in the space community to send DeLay back to Washington. In his keynote speech to the Rotary National Award for Space Achievement Friday night, Griffin said DeLay was "the best friend NASA has" in Congress. He also said every effort should be made to re-elect him to office." "Orlando Sentinel: 2006 is an election year. Your predecessor, Mr. [Sean] O'Keefe, went out and campaigned for some candidates. Do you plan to do the same? Griffin: No. I don't know if Mr. O'Keefe did that or not, but my understanding of the Hatch Act is that I am prohibited from engaging in political activities or supporting particular candidates. So I certainly will not be doing that." Editor's Update: Dean Acosta just called me and said that he had spoken directly with Mike Griffin about this - and that Griffin was very specific in saying that his intent was not to endorse anyone - and that if people mistook his comments (in Texas) as being an endorsement, then that was unfortunate. Acosta also acknowledged that a presidential appointee such as Griffin (or O'Keefe) can indeed make political endorsements - but that Griffin had made it very clear (as he stated earlier) that he does not intend to be making any such endorsements. This is somewhat in contrast to the comment Griffin made earlier i.e. that "my understanding of the Hatch Act is that I am prohibited from engaging in political activities or supporting particular candidates." NASA is trying to get a hold of a recording of the event such that Griffin's actual words can be reported - this article only makes a partial quote. By Keith Cowing on March 29, 2006 3:26 PM. "The Lohfeld Consulting Group announced today that former NASA Deputy Administrator Frederick D. Gregory has accepted a position with the corporation as Managing Director, Aerospace and Defense Strategies. Mr. Gregory will lead the Aerospace and Defense strategy practice offering consulting services to aerospace, defense and information technology companies to assist in the development and execution of their strategies in government and international markets." By Keith Cowing on March 29, 2006 1:28 PM. "That gap means something very different to us. We intend to be the operator of the constellation systems, so we have to be able to negotiate and navigate that gap with our skill base and with our credentials intact," said Jeff Carr, spokesman for the Alliance." Editor's note: You "intend" to be the operator? This sounds a little presumptuous, Jeff. Jeff Carr replies: "Actually, it is extremely presumptuous.But we have a skilled and experienced workforce that is uniquely qualified to do that work, and we have a responsibility to them to make every effort to preserve that opportunity for them.So, as a basic premise in our planning, it is (and must be) our intention to be the operator.And we're not keeping that a secret." Reader comment: "I can only speak from my experience at KSC, but it not only is presumptuous but also the epitome of arrogance to think that somehow USA is going to magically and overnight transform itself from a behemoth of an organization built on cronyism and "we've been doing it this way for the last 30 years why should we change now" to a sleek, cutting edge organization out in the forefront of space exploration. There is a tremendous shortage between where they are right now to where they need to be -- and it's just plain not going to happen in the timeframe required. No way." By Keith Cowing on March 29, 2006 12:31 PM. "More trouble in NASA's return to flight plans as space shuttle Discovery is again damaged in an accident at the Kennedy Space Center. The space agency says workers were repositioning a lamp near the nose of the shuttle's external fuel tank when it fell, causing it to ding the foam insulation." "Initial wind tunnel tests indicate recent modifications to the foam insulation on the shuttle's external tank may not be as easily analyzed as initially hoped, sources say. While additional testing may resolve the matter, showing the removal of wind deflectors called PAL ramps from the tank will not compromise safety, other ongoing technical issues, including a new concern about possible circuit board wiring problems, threaten the July 1 target date for the next shuttle mission." By Keith Cowing on March 29, 2006 8:22 AM. "Researchers said NASA was responding to protests from scientists and lawmakers and called for the pressure to continue. "It seems to me that instead of going away quietly with what we were given, we ought to be emboldened to ask for more," said Jill Tarter, [SETI Institute]." Editor's note: At a "NASA Town Meeting" held on Monday night at this conference, Carl Pilcher said - several times - when asked why these budget cuts were made in the first place, that he did not know wny and that he was "pleading ignorance". When pushed by several questioners to elaborate, he said "that's all I can tell you". This was rather bizzare - and insulting - to many in attendance since Pilcher actually requested that this "NASA Town Meeting" be held in the first place. The reason the event was requested was so that Pilcher could address this specific issue. Yet he could not even explain how the decision to cut Astrobiology was made - or why it was made. Either Pilcher was unable to get a formal answer from his boss, Mary Cleave; he did not bother to ask; or he knows but is not allowed to say. Regardless of the reason, Pilcher's non-response fell flat on the hundreds in attendance. By Keith Cowing on March 29, 2006 8:04 AM. "I worked with the administration to ensure that increased funding was specifically designated in this budget for the space shuttle program, allowing for 16-17 shuttle missions. Though some have criticized this robust series of flights as an impossible goal, the "impossible," after all, is NASA's business." By Keith Cowing on March 27, 2006 10:05 PM. By Keith Cowing on March 27, 2006 3:57 PM. "NASA has authorized contract extensions for development of the agency's new Crew Exploration Vehicle. The companies, Lockheed Martin Corp., and a team of Northrop Grumman Systems Corp., and The Boeing Co., were selected as CEV Phase 1 contractors in June 2005. They have been working with NASA to define requirements and develop conceptual designs for the agency's next-generation vehicle for human space flight. ... NASA expects to select the Phase 2 prime contractor by August." By Keith Cowing on March 27, 2006 2:00 PM. Editor's 11:00 am EST update: NASA Watch has learned that NASA will restart the Dawn mission. "NASA senior management announced a decision Monday to reinstate the Dawn mission, a robotic exploration of two major asteroids. Dawn had been canceled because of technical problems and cost overruns." Editor's note: Then why was Dawn cancelled in the first place, Rex? And why was it cancelled with so many people left out of the loop including international participants? This doesn't say much for the veracity or consistency of the process whereby NASA evaluates its various projects these days. By Keith Cowing on March 27, 2006 1:30 PM. "The NASA Explorer Schools Program was chosen as one of the Top 50 Government Innovations for 2006 by the Ash Institute for Democratic Governance and Innovation. The selected programs represent the government's best efforts in various areas including education and training. They demonstrate the most innovative, creative and results-oriented efforts in government according to the award criteria." By Keith Cowing on March 27, 2006 9:29 AM. Editor's note: This morning, at the opening session of the Astrobiology Science Conference, Andrew Dantzler, Director of the Planetary Science Division at NASA HQ noted that the proposed FY 2007 cuts in Astrobiology did not sit well with the research community noting that "it was was not a good shot [at a budget] - we could have done better". He then said that based on input he had been receiving that it was "clear that we should money back [into Astrobiology]" and that "we have decided to put money back - and we will be doing that as soon as we can." As to the specifics of the Astrobiology funds restoration, Carl Pilcher will be discussing that at an evening session tonight. What's A Space Station For? By Keith Cowing on March 27, 2006 7:08 AM. "The space station was sold to Congress for decades as a lab to do this kind of broad-based research," said Keith Cowing, a former NASA engineer and editor of nasawatch.com, a Web site often critical of the space agency. "Now they've started gutting the station just when it is at the point of being able to do all the things it was supposed to do. That leaves the purpose of the space station as something for astronauts to fix." Is Japan Getting Cold Feet ABout ISS? By Keith Cowing on March 26, 2006 12:11 PM. "The government should take the U.S. postponement of the next space shuttle launch and its potential impact on the building of the International Space Station more seriously. ... Prospects for a successful completion of the program are dimming. The issue is not only about space shuttle launch costs. Tokyo will be responsible for annual ISS running costs of about 40 billion yen [~$340 million USD], although it has not been determined how many years the station will remain operational after it is completed." What Good Are Safety Rules If You Just Ignore Them? By Keith Cowing on March 25, 2006 10:38 PM. "Everything appeared normal June 5, 2002, as shuttle Endeavour thundered to orbit from Kennedy Space Center through hazy afternoon skies. Unknown to the public, however, the Air Force's top two safety officials at Cape Canaveral had tried to stop the countdown. Air Force technicians could not verify that a critical backup system used to destroy errant rockets was working properly. In an apparently unprecedented move, the safety officers were overruled after a phone conversation between Brig. Gen. Donald Pettit, commander of the Air Force's 45th Space Wing, and KSC Director Roy Bridges. Endeavour launched minutes later in violation of flight rules designed to protect the public." By Keith Cowing on March 25, 2006 10:18 PM. "The rocket impacted on a dead reef about 250 ft away from the launch pad, so most of it is recoverable for analysis. Amazingly, the satellite was thrown high into the air when the rocket impacted and came crashing down through the roof of our machine shop, landing mostly intact on the floor! One helluva' return trip." "Vanguard 1, known as TV-3 before launch, was to have been placed in orbit on December 6, 1957. The satellite was recovered after the launch rocket malfunctioned almost immediately after ignition and crashed on the launchpad." By Keith Cowing on March 25, 2006 10:12 PM. "Not having to pay as dearly for mistakes is one key reason why the moon is an integral part of the Bush initiative. The other, as even scientists point out, is that if the United States does not return to the moon, others will." "The Plovdiv lunar embassy is the first in Bulgaria but one of dozens around the world, licensed by the Galactic Government's CEO - in this case, Celestial Executive Officer - US entrepreneur Dennis Hope." By Keith Cowing on March 25, 2006 2:37 PM. "Officially titled the "Smiley and Bernice Romero Raborn Chair in Mechanical Engineering, as part of the Initiative to Recognize Max Faget," or Raborn/Faget Chair for short, the professorship will be created through a $600,000 donation from the Raborn family and matched by $400,000 in funds from the state of Louisiana." "The department has hired Leroy Chiao, who retired from NASA in December 2005 after he worked as an astronaut for 14 years and logged more than 220 days in space... The initiative seeks to recognize Faget's outstanding contributions to the aerospace industry and increase the Universitys national standing." By Keith Cowing on March 24, 2006 5:30 PM. "The Falcon I rocket was launched today at 5:30 pm EST from Omelek Island and climbed upward for around a minute. Gwynne Shotwell, SpaceX's Vice President for Business Development, has confirmed that the rocket has been lost." "Falcon 1 Maiden Flight Update: Posted March 24, 2006 3:00 pm We had a successful liftoff and Falcon made it well clear of the launch pad, but unfortunately the vehicle was lost later in thefirst stage burn. More information will be posted once we have had time to analyze the problem." From Elon this morning: "Preliminary Fault Analysis - The good news is that all vehicle systems, including the main engine, thrust vector control, structures, avionics, software, guidance algorithm, etc. were picture perfect. Falcon's trajectory was within 0.2 degrees of nominal during powered flight. However, at T+25s, a fuel leak of currently unknown origin caused a fire around the top of the main engine that cut into the first stage helium pneumatic system. On high resolution imagery, the fire is clearly visible within seconds after liftoff. Continue reading Falcon I Fails. By Keith Cowing on March 24, 2006 5:01 PM. Editor's note: Hey they did fake those moon photos after all - except they did it last week. Have a look at this link wherein an eerily accurate reporduction of the famous "Buzz shot" from Apollo 11 is presented. The image was recreated by Tredistudio. By Keith Cowing on March 24, 2006 3:19 PM. Editor's note: Arabsat 4a has been splashed into the Pacific Ocean. It went in at 43 degrees south 212 degrees east on 24 March. "An off-course communications satellite that a private team wanted to rescue and resell has instead been steered to its destruction in Earth's atmosphere, according to the Defense Department and amateur satellite watchers." By Keith Cowing on March 24, 2006 1:20 PM. "This view shows a full-resolution portion of the first image of Mars taken by the High Resolution Imaging Science Experiment camera (HiRISE) on NASA's Mars Reconnaissance Orbiter. The spacecraft, launched Aug. 12, 2005, began orbiting Mars on March 10, 2006. The image is of an area in Mars' mid-latitude southern highlands." By Keith Cowing on March 24, 2006 8:00 AM. Editor's 24 Mar update: Sources now report that Mars Odyssey is out of safe mode, with the spacecraft behaving nominally. Apparently, the trigger was something in the attitude control system that caused a similar event last year; the ultimate cause is still being worked out. Editor's 23 Mar note: Word has it that Mars Odyssey went into safe mode on March 22, 2006 at approximately 7:30 UTC. Stay tuned. By Keith Cowing on March 23, 2006 7:49 PM. Editor's update: multiple sources note that NASA HQ has decided - that there won't be a decision about Dawn's fate - Today. Editor's note: This afternoon the decision about the Dawn will be made at NASA HQ. The meeting is taking place right now with several hours to go. The review board consists of Rex Geveden, Chris Scolese, Bryan O'Connor and Scott Pace. By Keith Cowing on March 23, 2006 7:03 PM. "Lost chemical canisters and some suspect handrails will prevent astronauts on the international space station from doing any spacewalking in the near future, a NASA manager said on Wednesday." "The issues are nothing new. Both have been known to NASA officials for some time and were mentioned in an internal ISS status report posted last week on SpaceRef.com." "Both the Russian segment (RS) and the US segment (USOS) are currently "No Go" for EVA (extravehicular activity): the RS side is still missing four Orlan LiOH (lithium hydroxide) CO2 absorption canisters; on the US side, of surface blisters observed on "dogbone"-type EVA handrails on ground units which may also be present on orbit. [For the LiOH cans, additional crew time will be allocated for the search. On the handrails, an ongoing metallurgy analysis/testing (tensile, fracture, sheer) will be completed prior to a spacewalk if a contingency arose).]" By Keith Cowing on March 23, 2006 2:58 PM. "Bill Gerstenmaier gave a keynote speech where he described the "fifth dimension" of project management (Politics). In the speech he had a chart which showed information flowing from lowly workerbee up to NASA HQ and congress and back down again. Then he added "outside channels" and specifically mentioned "our friends at NASAWatch" and how managers need to be aware that in this information age, much information will go around proper channels. I applaud him for aknowledging that there was no way to stop this and aknowledging that it showed a problem with the communication flow inside of NASA." By Keith Cowing on March 23, 2006 1:50 PM. "One venue to begin this process of international collaboration on exploration is the upcoming Exploration Strategy Workshop from April 25-28, 2006, at the Ronald Reagan Building and International Trade Center here in Washington. This workshop will be the first step in a series of activities planned for 2006 that will focus on defining a strategy for lunar exploration, including the role of the Moon as a stepping-stone to Mars and other destinations." Editor's note: Dolores Beasley from NASA HQ PAO sent the following response to an inquiry I made asking when this workshop was going to be publicy announced. She replied: "The Exploration Strategy Workshopscheduled for April 25-28 is by invitation only. This is the first in a series of activities planned for this year andthefirst opportunity toengage partners in a multi-disciplinary dialogue to begin defining a strategy for lunar exploration. TheSpace Exploration Conferenceplanned for later this year is open to the public. At that time we willroll-out results ofthe various strategy workshops andactivities. Thatwill be theopportunity to discuss our progress in a public forum." In other words NASA doesn't want the public to know what they are discussing - in a select forum - until after they decide what they want the public to know. I wonder if attendees will be asked to sign an NDA such that they won't talk to the media. By Keith Cowing on March 23, 2006 12:04 PM. Editor's note: For a number of years STA used to provide me with advance notice of these events such that I could post a notice on NASA Watch and SpaceRef. Not any more. For the second time in a week or so the STA has had a breakfast where only selected media were informed while others were not. I have to assume that I am not welcome at these events and/or STA does not want them publicised on NASA Watch since multiple email requests to STA's President Rich Coleman have been ignored. You'd think that NASA Public Affairs would require that any venue where its leaders take time to speak be more accessible to the public. Oh well. You can always listen to an audio file of the event over on Futron's space politics blog. By Keith Cowing on March 23, 2006 8:17 AM. "No major issues were discovered following the static fire, but, as a cautionary measure, we are going to take one more day to review data andverify system functionality. Launch is now scheduled for Friday at 1 p.m. California time." By Keith Cowing on March 22, 2006 8:41 PM. "This image was taken on March 21, 2006 and received on Earth March 22, 2006. The camera was pointing toward Mimas at approximately 190,524 kilometers away, and the image was taken using the CL1 and CL2 filters." Many more stunning images such as this are online at Saturn Today. By Keith Cowing on March 21, 2006 5:15 PM. By Keith Cowing on March 20, 2006 7:16 PM. "Even at the requested FY07 funding level we will be able to support a vigorous program of astrobiology research and some technology development. Obviously, however, it will be about half the size of the current program. Getting from here to there will be challenging and painful. I will seek guidance from the astrobiology community about how to approach this adjustment in the long term, but I have had to make some policy decisions regarding near term actions." By Keith Cowing on March 20, 2006 2:53 PM. Editor's note: According to SpaceX sources, the test firing countdown and static fire went fine except that they had a ground helium supply disconnect prematurely during engine startup. One of their flight video cameras also stop working. Neither event is seen as being a big issue, but these things will take a few days to correct. SpaceX is still working toward a launch in the next few days. By Keith Cowing on March 20, 2006 10:28 AM. "The Moon has unique significance for all space applications for a reason that to my amazement is hardly ever discussed in popular accounts of space policy. The Moon is the closest source of material that lies far up Earth's gravity well. Anything that can be made from Lunar material at costs comparable to Earth manufacture has an enormous overall cost advantage compared with objects lifted from Earth's surface. The greatest value of the Moon lies neither in science nor in exploration, but in its material." By Keith Cowing on March 20, 2006 10:05 AM. "Northrop Grumman Corporation has signed a three-year sponsorship agreement with the U.S. Space & Rocket Center (USSRC) here to become the major sponsor for NASA's Great Moonbuggy Race, now in its 13th year. The agreement, worth $270,000, helps ensure that NASA Marshall Space Flight Center's annual vehicle design and race competition will continue to attract and challenge the best student engineering teams from around the world." By Keith Cowing on March 20, 2006 12:59 AM. "In a dramatic bid to maximize the utilization of existing, low- cost planetary spacecraft, researchers want to divert the NASA/Lockheed Martin Stardust comet-sample-return mothership to intercept and image a second comet, blasted open last July 4 by the Deep Impact mission. Stardust is about 20 million mi. 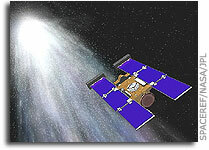 behind the Earth in a solar orbit that earlier enabled it to collect samples from the comet Wild 2." By Keith Cowing on March 20, 2006 12:57 AM. "There's another saying in mountaineering, "The mind remembers, the body forgets." Climbing Mt. McKinley was the hardest thing I've ever done, almost like running a marathon for three weeks straight. It was a life-changing experience. Back at work behind the desk, I couldn't help but think of all the things one could do in life if only the day job didn't get in the way. I was surprised at the large number of co-workers who followed our expedition and wanted to hear stories, experiencing vicariously the adventure we enjoyed." "As [NASA] Chief Scientist, I get to spend a little time in the House Science Committee room in Congress, probably more than I'd like. There are some things written on the wall that I think are really fantastic, and every time I sit there, thinking, What am I gonna say? or What are they gonna ask me?, I look up on the wall and read, "For I dipped into the Future, far as human eye could see; saw the vision of [new] worlds, and all the wonder that would be." That's from Tennyson. Again, this is something that I think drives us all." "Chiao: ... The similarities, I think, would be planning. There is a lot of planning involved, getting the right gear, doing the right kind of research to determine what kind of equipment you are going to need, thinking through the whole plan, and then executing it. I think there are a lot of similarities between other types of exploration and the kinds of things we are doing. Some of the other things that are very similar - if you are out in the middle of nowhere - and you've got your team and your equipment, you've got to be able to deal with any contingency that comes up - any kind of repairs that need to be made so that you can get back to where you need to go. So I agree, there are a lot of parallels." "It is just after 10:00 PM and I am sitting in the Science Tent. Outside the winds are blowing constantly with constant gusts over 50 KPH. The wind chill is -1C. The winds are so intense that the entire tent shakes constantly - including the desk I am sitting at. More than once the tent door has blown open. Next to this tent is the large Planetary Society dome tent which houses the NASA Ames Research Center airplane team. The tent was starting to move a bit, hinting at a predilection to become airborne, so Base Camp manager John Schutt anchored the tent to two 200 kg ATVs." "Now given that we're a bunch of NASA tech geeks, a caf isn't a caf unless you have your laptop out and can get some work done while you sip your mocha-frappa-soy-whatsit-latte. Needless to say we did get power into the tent and often had a full suite of laptops up and running, collecting and analyzing data. On a few occasions I think Rho even managed to link up to his server via the Iridium satellite phone. The BP Cybercafe was up and running in full force." By Keith Cowing on March 19, 2006 3:27 PM. "Some of the proposed cuts, such as eliminating farm subsidies or killing NASA's moon/Mars exploration program, are sensible. But they also are highly unlikely; just think how much trouble Congress had recently agreeing to a mere $40 billion in entitlement cuts." By Keith Cowing on March 18, 2006 9:42 PM. [Airs 19 March 2006] "NASA's top scientist studying climate says the Bush administration is restricting what he can say about global warming. Scott Pelley reports. Catherine Herrick and Bill Owens are the producers." Editor's note: James Hansen was interviewed for this story. Click on image to enlarge. By Keith Cowing on March 18, 2006 7:37 PM. "NASA, the American space agency, has unveiled plans for one of the largest rockets ever built to take a manned mission to the far side of the moon. ... The design emerged during a space science conference in Houston, Texas, last week. The plan is part of Nasas "Return to the Moon" programme set in motion by President George W Bush two years ago." Editor's note: I guess someone at the Times has been asleep for a few months - this was all "unvelied" here last Christmas - and officially "emerged" a few weeks later from NASA itself. By Keith Cowing on March 18, 2006 5:10 PM. Editor's 20 Mar update: I got a note from the nasaprs.com folks: "The solicitation was not intentionally posted without copy capability. That function is now available. Thank you for bringing the issue to our attention." Editor's 18 Mar note: On 22 February 2006 NASA JSC published a presolicitation notice Ground-based Studies in Radiation Biology stating that the NRA would be available "on or about March 7, 2006 by opening the NASA Research Opportunities homepage at http://nspires.nasaprs.com/"
A week late, on 15 March 2006, NASA issued a new Ground Based Studies in Radiation Biology. Continue reading Making The Research Application More Tedious at NASA. By Keith Cowing on March 18, 2006 10:00 AM. "Pentagon and Federal Trade Commission officials met Friday to discuss a proposed joint venture between Boeing Co. (BA) and Lockheed Martin Corp. (LMT) but no decisions have been made, a Defense Department spokeswoman said Friday." "A plan by Lockheed Martin Corp. to merge their rocket-launch work for the U.S. government has received the Defense Department's conditional backing, defense consultant Loren Thompson said on Friday." By Keith Cowing on March 17, 2006 10:30 PM. "The recent cuts to NASA's astrophysics program are ill-advised and unfair to the hard-working scientists who dedicate their lives to these missions. But until we astronomers get our own house in order again, it's going to be hard to convince Mike Griffin and Mary Cleave (the NASA boss and head of science, respectively) that we deserve different treatment." By Keith Cowing on March 17, 2006 8:04 PM. Editor's note: Channel 13 will be reporting tonight that a man "died afterfalling off a building at the Kennedy Space Center. The man had been working on the roof of a warehouse owned by Boeing. A NASA spokesman says the worker tripped on wires used for lightning protection." By Keith Cowing on March 17, 2006 7:29 PM. "According to a widely circulated email, and multiple NASA sources, Eric Sterner will be departing his staff position at the House Armed Services Committee to assume the position of Associate Deputy Administrator for Policy and Plans at NASA Headquarters." By Keith Cowing on March 17, 2006 6:10 PM. Astrobiology researcher note: "I would like to share this email I received from the Exobiology program manager at NASA HQ. This is the direct result of the recent cuts to Astrobiology. This was also my first proposal as a principal investigator. I had at least hoped that the decision to fund, or not fund, my proposal would be decided based on merit, as opposed to being a victim of misguided policy." By Keith Cowing on March 17, 2006 5:03 PM. "On March 4 at about 10:10 p.m. EST, shuttle technicians inside a bridge bucket work platform device accidentally bumped into Discovery's robotic arm. The arm is a 50-foot-long, jointed extension used to grapple payloads, remove them from the payload bay and move spacewalking astronauts to various work platforms." By Keith Cowing on March 17, 2006 3:58 PM. "I have never been one to stick my finger in the air to see which way the wind is blowing or to be guided in my direction by the latest poll numbers - I think the people we - all of us in Congress - the people we represent want leadership, not followership." By Keith Cowing on March 17, 2006 2:09 PM. "NASA Headquarters will conduct a Lessons Learned Workshop for PI-Led Planetary Science Missions in anticipation of the upcoming Mars Scout Announcement of Opportunity (AO). The Workshop is jointly sponsored by the Mars Scout, Discovery, and New Frontiers programs in the Planetary Science Division of the Science Mission Directorate." By Keith Cowing on March 17, 2006 1:17 PM. By Keith Cowing on March 17, 2006 12:12 PM. "In October, for example, George Deutsch, a presidential appointee in NASA headquarters, told a Web designer working for the agency to add the word "theory" after every mention of the Big Bang, according to an e-mail message from Mr. Deutsch that another NASA employee forwarded to The Times." Editor's note: Looks like George Deutsch got people to use the word "theory" after "Big Bang" after all. By Keith Cowing on March 17, 2006 9:53 AM. "... last week, two dozen senior researchers met in a windowless Washington, D.C., conference room to try to avert what some fear could turn into a civil war among earth and space science disciplines scrambling for science's decreasing share of the space agency's budget." "Under fire, Griffin's refreshing forthrightness can come across as political insensitivity. He dismisses the community's outcry as "a hysterical reaction, a reaction out of all proportion to the damage being done." But those words are likely to antagonize rather than assuage science advocates. Griffin is famous for responding rapidly to e-mails; he carries his Blackberry everywhere. Yet he's uncomfortable with the face-to-face socializing and back scratching that his predecessors practiced so adroitly. "You have to form relationships, not just send an e-mail," says one who has worked closely with him. Although Griffin responds rapidly, adds another, "his impatience often shows." By Keith Cowing on March 17, 2006 9:17 AM. Continue reading KSC Takes a Safety Break. By Keith Cowing on March 17, 2006 12:23 AM. "You've got to look at the high tech centers around the nation: Albuquerque, Los Angeles, the Bay Area of California, the Boston 128 corridor. You've got to look at those areas which in the past have been successful in attracting high tech and do what they did," said Griffin, who has a handful of masters degrees to accompany his doctorate in aerospace engineering. He noted competition for the high tech is fierce not only in the U.S., but around the world, adding that India and China are fasting becoming players. Space, he said, is the "new enterprise" of the 21st century and will determine the world powers of the future." Editor's note: Meanwhile, as he lectures Florida politicians on what they should be doing, Mike Griffin is cutting NASA's education programs, gutting research and technology which lays the ground work for a future generation of researchers, and is erasing entire research disciplines from NASA's research portfolio. How many scientists and engineers won't be trained because of Griffin's decisions? What sort of message does that send - Do as I say - but not as I do? NASA Robots That Do a Christmas Dance? By Keith Cowing on March 16, 2006 1:31 PM. By Keith Cowing on March 16, 2006 12:56 PM. Editor's note: Skip Hatfield (ISS Program Integration Office Chief) is being named as the new CEV Project Manager. Formal announcement shortly. By Keith Cowing on March 16, 2006 10:24 AM. Editor's Update: Now John Kelly is threatening to investigate why I left NASA. Go for it John. The answer: out of frustration with how the agency was being run - and I left to run a breast cancer peer review project for the U.S. Army. I hired several dozen SSF contractor personnel who had been laid off. They are very easy to find if you want to confirm things. Editor's note: Florida Today's John Kelly and I have been having a pointless email volley this morning. He's clearly upset. Normally I just keep these silly conversations private. But when an accusation against me - or the hint thereof - creeps into the email - one that hints at a story someone is working on - I feel it is time to go public to nip things in the bud. Continue reading Florida Today's John Kelly Is Clearly Frustrated. By Keith Cowing on March 16, 2006 1:06 AM. "Gerhard Neukum ... railed against the decision to defer the Dawn mission to Ceres and Vesta, the two largest asteroids, saying NASA had reneged on international agreements without any consultation of its European partners. "This is not the way NASA should treat these things if you want continued international cooperation," he said. "Things are really degrading in terms of cooperation, and I'm not the only one who feels that way." Huge applause from the room." "NASA's unusual step to review Dawn's termination came after the Jet Propulsion Laboratory in Pasadena, which manages the mission, presented new evidence, the space agency said in a statement. It's the first time in recent memory that a NASA center has challenged a headquarters decision on a canceled mission, said NASA spokeswoman Erica Hupp." - A Stay of Execution for Dawn? By Keith Cowing on March 15, 2006 7:28 PM. Editor's note: According to ace Florida Today reporter Todd Halvorsen on his new space blog "The independent web site NASA Watch trotted out a scary headline Tuesday: "USA Layoffs Are About To Begin." The item inferred the company, which employs about 10,000 people, including 6,500 at Kennedy Space Center, was on the verge of pink-slipping employees, and that they would be sent packing without severance pay." Editor's update:Florida Today finally relented and linked back to my original post on NASA Watch - thanks in great part to comments made by Rand Simberg. "Yesterday United Space Alliance held an informational meeting in Houston to advise employees that their tasks were no longer deemed necessary. As a result, USA would soon be eliminating those tasks from the current contract with NASA." "Houston" Todd. Is that where the Kennedy Space Center is? Do you see the word "Florida" in there? I don't need to "infer" anything, Todd. If I had meant to say KSC - and that 10,000 people were affected, I would have said so. Face it: the meeting happened with some employees at USA in Houston. If it was an all hands meeting - there - or anywhere else, I would have said so. I did not. When USA asked to respond, I let them - and posted their reply - verbatim. As for the severance pay issue, I am repeating what people who are directly affected told me, Todd. Why not check this out for yourself? Note that USA's spokesman Jeff Carr did not deny that such a meeting happened - nor did he deny that people's jobs were being eliminated. Nor did he guarantee that they would not be laid off. Are you really this lazy - and hard up - for news that you try and make it up - using NASA Watch (of all things) as the topic? P.S. When are you going to admit that this article on NASAspaceflight.com scooped you - and everyone else - on STS-121 issues - as everyone else has already noted? By Keith Cowing on March 15, 2006 2:33 PM. By Keith Cowing on March 15, 2006 8:29 AM. "This comes up again in the meeting, with Cleave countering that astrobiology was not being killed, "just slowed down." An audience member disagrees, saying that it is the biggest threat to their science in a generation. Emily Lakdawalla of the Planetary Society stood up to announce that they were launching a 'Save Our Science' campaign. At one point, Cleave became so frustrated she said, "I don't understand why you're so angry." The response was gales of bitter laughter." "[Glenn] MacPherson said NASA's new organizational structure left him feeling more isolated from the planning process, adding there was a "science vacuum" on the top floor of NASA headquarters in Washington. Both laughter and applause followed. "I don't understand why you're so angry. We really care about this program," said Cleave." By Keith Cowing on March 14, 2006 10:10 PM. "In response to your recent email about SIM as reported on NASA Watch, I thought it would be useful to remind you of the goals of the SIM investigations that were selected while you were Associate Administrator for the Office of Space Science at NASA Headquarters." ... "SIM remains the only NASA mission capable of discovering terrestrial worlds around nearby stars." Continue reading Geoff Marcy Responds to Ed Weiler's SIM Spin. By Keith Cowing on March 14, 2006 10:09 PM. Editor's update: It would seem, according to this email (below) from GSFC Center Director (and former Space Science AA) Ed Weiler, that SIM (Space Interferometry Mission) is being promoted via a "stretch of the truth" as a mission capable of searching for "Earth-like planets orbiting nearby stars.". Weiler notes: "Just a plea for truth in advertising in these interesting times..."
Continue reading Weiler's Lament About SIM Spin. By Keith Cowing on March 14, 2006 4:02 PM. "Boehlert chairs the Science Committee, which has jurisdiction over all federal nonmilitary scientific and technology research and development program, including NASA and the National Science Foundation." Editor's note: Rep. Ralph Hall (R-TX) is favored to take over House Science Committee in either case since Boehlert will have to relinquish his chairmanship due to term limits. By Keith Cowing on March 14, 2006 2:59 PM. "NASA announced today July 1 to 19 is the new launch planning window for Space Shuttle Discovery's mission, designated STS-121. The new window gives the agency time to do additional engineering work and analysis to ensure a safe flight for Discovery and its crew." By Keith Cowing on March 14, 2006 10:57 AM. Editor's note: "Yesterday United Space Alliance held an "informational meeting" in Houston to advise employees that their tasks were no longer deemed necessary. As a result, USA would soon be eliminating those tasks from the current contract with NASA. Still unknown is the timeframe for separations - all that was given was a range between May and October of FY06. Employees were advised to start seeking employment elsewhere. The USA HR rep stated that USA is not even considering any early retirement or severance packages for displaced employees. Employees will be given the standardUSA two week notice. Employees who are offered positions within USA - and then decline those offers - will be treated as a "voluntary resignations" and therefore probably not be eligible for unemployment benefits." "GRIFFIN: We are not, in your words, we are not "whacking" the space science program to pay for human exploration. This is not "The Sopranos," we don't whack people or programs here." Editor's update: The following was sent to NASA Watch by Jeff Carr at USA. Houston: "Hi Keith - Id like to offer some additional background related to the recent NASA Watch posting, "USA Layoffs Are About to Begin." There are a small number of Flight Ops Training jobs (9 USA; 5 subcontractors) that are being eliminated from the SFOC as the number of training tasks required to fly out the program are reduced. We are giving the affected employees as much time as possible to try to find a new job with USA or elsewhere. As always, we will do our best to place them internally. Any employee who is involuntarily terminated is entitled to standard company severance benefits. An employee who declines an offer of continued employment is not. This is not a Reduction in Force and, in fact, is a measure to help prevent that from happening. If/when we are ever faced with such an action, there will be extensive communication in advance with all employees, our customers and the Congress. Ill be happy to include you in that process." By Keith Cowing on March 14, 2006 10:48 AM. Editor's update: Feedback from Houston - at the LSPC - where Mary Cleave has been speaking is that she was roasted by the audience. The astrobiologists and astrophysicists were the most vocal. "One impact that spans all science disciplines within SMD is a 15% reduction in research and analysis (R&A) annual funding. The reduction in R&A funding is directly related to the slowing rate of growth of SMD programs. Because there will be fewer missions within SMD, a larger body of advanced research and development to prepare for future missions is not required. It is important, as these activities are reduced, that NASA preserve the essential capabilities within the research community that are needed for the missions that NASA will be executing in the future. Also NASA will work to ensure that the students who represent the Nation's future technical workforce are not disproportionately affected by these reductions." By Keith Cowing on March 14, 2006 10:38 AM. "Up until early 2005 NASA's web pages were once on a path toward providing an ever-increasing level of detail regarding research activities on the International Space Station (ISS). Links to peer reviewed research and recent results were prominently featured. Not any more. In the past year that noteworthy effort has been reversed such that the amount of information presented (or the public to see at least) is disappearing at an alarming rate." By Keith Cowing on March 14, 2006 9:09 AM. Fran Bagenal, professor of astrophysics and planetary science at the University of Colorado, worries that spending on the CEV ultimately will short-change spending on NASA science missions. "Everyone knows these big programs tend to be under-costed and come in over budget," she said. "The concern is there will be a temptation by Michael Griffin to raid the science budget to pay for it." "If this is the best the United States can offer for space exploration initiatives, we're in a bigger technological hole than most would care to imagine." Progress On NASA's New Commmunications Policy? By Keith Cowing on March 14, 2006 8:31 AM. "A review of communications policies at NASA, set off by reports that political appointees had tried to muzzle some agency scientists, received a public vote of support yesterday from dozens of scientists and other staff members at the space agency." "We, the undersigned, encourage all NASA affiliated scientists and engineers to openly present their expertise for the public good such that NASAs implementation of openness may serve as a model for all US federal agencies." View - and sign the letter (sorry, only NASA civil servants can sign - and apparetly JPLers are being given special treatment). By Keith Cowing on March 13, 2006 5:26 PM. "Provider should have proven capability of patient extraction from remote locations. Recent NASA employee evacuations have been from The Ukraine, Russia and Kazakhstan." By Keith Cowing on March 13, 2006 8:34 AM. "A new planet-spanning Web site, Google Mars launches today on what would have been Mars astronomer Percival Lowell's 151st birthday. At the heart of the new Web site lies a gigantic picture-puzzle image of Mars created by researchers at Arizona State University's Mars Space Flight Facility in Tempe, Arizona." By Keith Cowing on March 12, 2006 2:16 PM. "Simon Ostrach, a retired director of the National Center for Space Exploration Research, said he and others are "up in arms." New scientists cannot be trained if their mentors have no funding, he and others say. "If he (Griffin) thinks 15 years from now he is going to turn the spigot on again, he's crazy," said Ostrach, whose former center has to shut its doors and will release about 40 workers by September because of the NASA cuts." "GRIFFIN: Most of the kind of fundamental research that we talk about is done in universities or in programs where universities are part. And it will -- if we are not able to fund all of the work in fundamental life science, the researchers who were doing it will go elsewhere to other occupations, other research endeavors that are being funded, and we will have to put the program back together later.That is just a fact. But I cannot responsibly prioritize microbiology and fundamental life science research higher than the need for the United States to have its own strategic access to space." "About the report itself, Griffin says: "I've read the report, and there is not much good in it for us. Not surprising, however, coming from Len Fisk. I'm copying a bunch of folks on this note because it concerns the nucleus of a strategic problem for us in going forward with the VSE. Bottom line, we're going to have to answer the specific issues in this report." Continue reading Space Life and Microgravity Science Community Fights Back. By Keith Cowing on March 12, 2006 1:42 PM. "Noting that the workforce plan provided to Congress and the union, as was stipulated in S. 1281, failed to meet the requirements set our in the law, IFPTE nonetheless offered their provisional views on the limited details outlined in NASA's plan. Among the chief concerns outlined in the union's report were the Agency's reliance on full-cost accounting, term employees, and a flawed & incomplete competency management system." MRO Arrives at Mars - "Right on the Money"
By Keith Cowing on March 11, 2006 12:16 AM. Editor's note: MRO is safely in Mars orbit. The shouted phrase "Right on the Money" could be heard repeatedly from excited folks in Mission Control. "The orbiter can radio data to Earth at up to 10 times the rate of any previous Mars mission. Besides sending home the pictures and other information from its own investigations, it will relay data from surface missions, including NASA's Phoenix Mars Scout scheduled for launch in 2007 and Mars Science Laboratory in development for 2009." By Keith Cowing on March 11, 2006 12:05 AM. "Working out of a small office on the second floor of the West Wing, [Claude A.] Allen shaped administration policy on such issues as health care, space exploration, housing and education." By Keith Cowing on March 10, 2006 4:48 PM. Editor's note: Yesterday I contacted the NASA HQ Newsroom to see if rumors of an important announcement were true. I was told they were not. Further inquires about whether advance notice was sent out by NASA PAO to the media were answered with "No". Well, that simply is not the case. The following two advance notices were sent out by NASA PAO - albeit NASA JPL PAO. One was sent 2 days in advance, the other 1 day in advance. It is quite obvious by now that NASA HQ PAO was unaware of what JPL PAO was up to - and that they felt that they had a big announcement and that they were going to selectively notify media of that impending story - under embargo. This is yet another example of a Public Affairs Office which is unable to coordinate the activities of its various field centers. Continue reading HQ PAO Is Unaware of What its Field Center Offices Are Doing. By Keith Cowing on March 10, 2006 4:35 PM. Editor's note: For the past few weeks NASA Watch has been featuring the strange, duplicative way that NASA PAO does things. Specifically - how the same - rather almost the same - ISS status report is issued by JSC and NASA HQ - often minutes apart wherein someone has made some subtle typographical changes. I got a call from Allard Beutel at NASA PAO telling me that these changes were due to listserv formatting and that the content is otherwise the same. Curiously these automatic changes always seem to happen at the end of a sentence. Allard told me that whatever is released by HQ and JSC is always identical in terms of actual content. Nonetheless I found several previous examples where the content had notable differences between JSC and HQ - yet both versions had been publicly released. I forwarded these examples to Allard and have heard nothing back. By coincidence, If you look at the two versions issued this week - the HQ version is noticibly different and longer than the JSC version - yet both were formally released by NASA. Which one is the official weekly NASA Space Station Status Report? Are both correct? Why can't NASA issue just one - and save the effort involved in all of this duplicative editing? Continue reading This Week's Dual ISS Reports Are Out. By Keith Cowing on March 10, 2006 4:11 PM. Editor's note: NASA HQ is apparently powerless to instruct its various field centers as to how things should be done from an agency perspective. Here is another example (and there are more): the weekly expendable ELV status reports from KSC. Continue reading More Duplicative PAO Releases. By Keith Cowing on March 10, 2006 8:13 AM. "I am concerned that NASA is not counting ALL ISS Research in making their computation to meet the required 15% set-aside for non-Vision-related research. The figures they have provided--$14 million in FY 2006, $12.9 million in FY 07 and $12.8 million in FY 08-would mean the TOTAL ISS research budget is in the neighborhood of $85-100 million per year. That is simply not credible, in a space station annual budget of $1.7 billion in FY 06, $1.8 billion in FY 07 and $2.2 billion in FY 08." By Keith Cowing on March 9, 2006 6:44 PM. "NASA's science chief has offered space and earth scientists half a loaf in response to withering complaints about cuts in the agency's proposed 2007 budget. Even so, it's a better offer than the one NASA Administrator Michael Griffin made last week to life and microgravity scientists: He announced a new timetable for finishing the international space station that will leave almost no room in the next 4 years for U.S. research projects." By Keith Cowing on March 9, 2006 6:34 PM. "The first activity of my Astrobiology team was to hold a graduate student conference. Astrobiology has only been a coherent activity since 1998, and the students needed an opportunity to talk together about their science. At that meeting both the students and I noticed that there was a major distinction between the students who had been broadly educated in astrobiology during their graduate career and those who had not. One group could think across fields without difficulty. The other could not." By Keith Cowing on March 9, 2006 6:05 PM. "Although the NASA budget proposed for Fiscal Year 2007 robustly funds our manned space program, and we need to be thankful for this, unfortunately, the 2007 budget also devastates NASA's scientific research and many important space science missions. The NASA 2007 budget cannibalizes $3 billion of NASA'S scientific research and cancels missions like the Terrestrial Planet Finder (TPF), cuts the Astrobiology research program by 50% and cancels the long planned mission to Europa, which the National Academy of Sciences' Decadal Survey identified as the single highest priority mission to the outer planets. I personally made sure Congress enacted legislation last year directing NASA to start the Europa mission this year, but NASA ignored this specific Congressional directive and cancelled the Europa mission." By Keith Cowing on March 9, 2006 1:35 PM. "NASA's Cassini spacecraft may have found evidence of liquid water reservoirs that erupt in Yellowstone-like geysers on Saturn's moon Enceladus. The rare occurrence of liquid water so near the surface raises many new questions about the mysterious moon." Will There Be a "Huge" or a "Large" Announcement Today from NASA? By Keith Cowing on March 9, 2006 12:20 PM. From another space reporter: "Keith, Doc is bullshi**ing you. [News organization name] got the alert early yesterday AM. It is touted IN THE NASA MESSAGE as a 'big' announcement based on an embargoed 'SCIENCE' article." Editor's Update: Drudge Report even has the press release online. "NASA is planning to make a huge announcement today, about possible life in our own solar system. Exact details of what we can expect to hear have not been released. We do know that evidence has been found that could point to life relatively close to the earth." Editor's note: I just spoke with Doc Mirelson at NASA HQ PAO. He was not aware of any specific "huge announcement" that NASA would be making today but suggested that the reporter who wrote this story might be referencing a 2:00 pm Cassini update. NASA does have a habit of alerting the media ahead of time when something big is going to be announced. No such alert has been sent out. However when I spoke with Eric Hupp a few minutes later she did say that there would be a "large announcement" (as opposed to "huge" I suppose) from the Cassini Team - and that press releases will be issued by NASA and a number of universities today at 2:00 PM EST. This announcement is in reference to a paper that will appear in Science magazine - and that magazine has it under embargo. I have not seen any of these embargoed press releases but from what I have pieced together the references to "life relatively close to the earth" may be a bit of a stretch to say the least. This announcement is a follow-on to previous announcements about discoveries on a moon in the Saturnian system - and the ramifications for life cannot be totally ignored - but that claim is not the thrust of the discovery. Of course, this is now spreading like crazy. Drudge Report now has this top banner: "Orlando Channel 13: Big NASA Announcement Set For Today... // NASA is planning to make a huge announcement today, about possible life in our own solar system" which of course means that Channel 13's webserver is being bombarded - and indeed, when you try and get to this article you often get a server error. In the end, however, the annoying thing about all of this is that NASA did not send a heads up that an announcement would be made (as they regularly do - often with out any details other than "stay tuned"), that there is no press event on NASA TV, and that the agency repeatedly allows itself to have embargo regulations dictated to it regarding the release of results of taxpayer funded science by a magazine. The Drudge Report has this story (and the press release) as their ultra- top news flash - above Condi and Iran. If *he* thinks this is more important (or at least of near-equal billing) than those issues - and yet PAO is stumbling to find out what is going on - then I have to ask how NASA can possible say it has anyone doing "strategic communications" as is the title of Joe Davis' operation. By Keith Cowing on March 9, 2006 8:54 AM. "In the most comprehensive survey ever undertaken of the massive ice sheets covering both Greenland and Antarctica, NASA scientists confirm climate warming is changing how much water remains locked in Earth's largest storehouses of ice and snow. "If the trends we're seeing continue and climate warming continues as predicted, the polar ice sheets could change dramatically," said survey lead author Jay Zwally of NASA's Goddard Space Flight Center, Greenbelt, Md. "The Greenland ice sheet could be facing an irreversible decline by the end of the century." Editor's note: Wow. Just a few weeks back a young White House political appointee in NASA PAO who lied on his resume was trying to stiffle NASA scientists from saying exactly what this official NASA press release now says. By Keith Cowing on March 9, 2006 7:56 AM. Editor's note: I have received several complaints about the lack of a listing for recent Space Transportation Association breakfasts - one was held yesterday. I try and post things like this as soon as I get them, but STA decided to stop sending me advance notice of these events several months ago. I can't alert folks to events that I do not know about. By Keith Cowing on March 9, 2006 7:38 AM. "Is this the right message to be sending to taxpayers in America, Russia, Europe and Japan - that it's OK to do a stunt like this?" said Keith Cowing of nasawatch.com, a feisty website that frequently challenges NASA policies. Speaking at a media briefing in Florida last week, NASA Administrator Michael D. Griffin denied that commercial stunts were more important than science. "We are doing all the science that our budget allows us to do," he said." By Keith Cowing on March 8, 2006 2:29 PM. Editor's note: The following are talking points developed by the JWST Science Working Group as of 8 March 2006. These talking points have a somewhat greater air of accuracy and official stature than the other set of talking points originally posted yesterday - points which are still being circulated within NASA and the space science community. Continue reading JWST Talking Points (Revised). A Stay of Execution for Dawn? By Keith Cowing on March 8, 2006 2:03 PM. Editor's note: knowledgeable sources within NASA and the planetary science community have told NASA Watch that the impending cancellation of the Dawn asteroid exploration mission has been put on hold pending a review by NASA Administrator Michael Griffin. By Keith Cowing on March 8, 2006 9:42 AM. "Spokesmen for Lockheed and Boeing say the companies remain committed to the United Launch Alliance venture first announced 10 months ago, and said the contract clause could be extended. But defense consultant Loren Thompson of the Lexington Institute said the long delay in approval for the merger had left executives at both firms with some second thoughts. "Pentagon regulators have taken so long to review the proposal that I think managers at both companies are beginning to grow ambivalent about the transaction," he said." "A contract clause in Lockheed Martin and Boeing's proposed merger of military rocket- launch operations allows either company to terminate the deal if it doesn't win regulatory approval by March 31." By Keith Cowing on March 8, 2006 9:30 AM. "But woe unto any administration official who becomes so concerned about global warming that he actually tries to sound the alarm. James E. Hansen, the top climate scientist at NASA, found that political minders at NASA headquarters had ordered a review of his lectures, papers, interviews and Internet postings after he called for quick reductions in greenhouse gas emissions to ease global warming." By Keith Cowing on March 8, 2006 7:39 AM. "But the fact that the Vision does not call for a race does not mean we should rest on our laurels, nor postpone the difficult choices to be made as we embark upon this journey. We have a lot of hard work to do, and will need your help now more than ever." Editor's note: NASA PAO titles this as "Administrator's March 7 Remarks to USA Employees" - yet this speech was at the Annual Space Shuttle Network Conference, hosted by USA - i.e. there were employees from a number of other contractors in the audience. Hmm. Was Mike Griffin only talking to USA folks - or did PAO slip up? 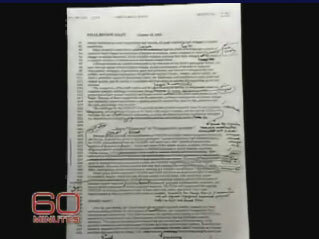 Editor's update: PAO fixed it. True to form, they never admitted that they made a mistake. By Keith Cowing on March 7, 2006 10:35 PM. "Restoring funding for the Shuttle and Station accounts has come at the cost of slowed growth in NASA's other program areas. The Exploration Systems Mission Directorate, which oversees the Vision for Space Exploration, will receive $2 billion less through 2010, and NASA has replaced significant projected growth in the FY06 request for the Science Directorate with annual growth of 1.5 percent in FY 07 and 1 percent thereafter, less than the projected rate of inflation." By Keith Cowing on March 7, 2006 5:25 PM. "The modified external tank for the next shuttle mission is starting a processing flow with no schedule margin, while engineers here assess issues that could affect NASA's May launch target for Discovery, such as those with engine cutoff (ECO) sensors." Editor's note: this story was posted on the Aviation Week and Space Technology website on 5 March 2006 - and was printed in the 6 March 2006 edition of the magazine. By Keith Cowing on March 7, 2006 4:51 PM. Editor's note: What is the "Space Program Office"? Editor's note: This item is classified as "Naics Code: 485999 -- All Other Transit and Ground Passenger Transportation" with the total amount of $58,130. The AV company mentioned is in Seabrook, Texas and this meeting is being held only a few miles away. $58,310 is sure a lot of money to spend on a bunch of AV folks driving back and forth in JSC's immediate neighborhood! By Keith Cowing on March 7, 2006 10:27 AM. "Budget cuts and poor management may be jeopardizing the future of our eyes in orbit -- America's fleet of environmental satellites, vital tools for forecasting hurricanes, protecting water supplies and predicting global warming." By Keith Cowing on March 6, 2006 9:52 AM. By Keith Cowing on March 6, 2006 12:03 AM. "Space Exploration Technologies Inc. - Better known as SpaceX - is developing its own manned spacecraft. Indeed, they've been at this for several years. Its name is "Dragon." This spacecraft is designed to carry not only humans into low Earth orbit - and to locations such as the International Space Station - but also carry cargo to and from orbit." By Keith Cowing on March 5, 2006 10:42 PM. "What can you do with a satellite in a useless orbit? That's the question now facing the folks who built, launched and hoped to use the Arabsat 4A telecommunications satellite and one of the potential answers could involve an unorthodox trip all the way around the moon to get the orbit back in sync." By Keith Cowing on March 5, 2006 10:04 PM.
" This two-vehicle "Blackstar" carrier/orbiter system may have been declared operational during the 1990s. A large "mothership," closely resembling the U.S. Air Force's historic XB-70 supersonic bomber, carries the orbital component conformally under its fuselage, accelerating to supersonic speeds at high altitude before dropping the spaceplane. The orbiter's engines fire and boost the vehicle into space. If mission requirements dictate, the spaceplane can either reach low Earth orbit or remain suborbital." By Keith Cowing on March 5, 2006 5:23 PM. "The country is indebted to your bravery, hard work and dedication in the face of severe distress," NASA's Deputy Administrator Shana Dale said." "Four residents of Pearl River County received Outstanding Public Service Medals for their efforts in the aftermath of Hurricane Katrina. Public Service Medals are the highest achievement NASA employees can receive." By Keith Cowing on March 5, 2006 5:15 PM. Editor's note: Research In Motion has reached a legal agreement that will allow RIM to keep all of those crackberry's operating. Now, both NASA civil servants - and contractor employees alike - can be assured that they can continue to check their email and ignore the person at the head of the table who is giving the presentation. "I cannot imagine how Washington's professional class made impromptu social arrangements before the advent of the BlackBerry. Berryless planning would involve real-time conversation, pinning someone down for an answer, and possible rejection." By Keith Cowing on March 5, 2006 11:49 AM. "The Chandrayaan-1 mission is an important step forward in U.S.-India space ties. Negotiations have taken place for two NASA instruments -- a Miniature Synthetic Aperture Radar to map ice deposits in the Moon's polar regions and a Moon Mineralogy Mapper to assess mineral resources of the Moon -- to join India's instruments in mutual exploration of the Moon. The Chandrayaan-1 mission will be a major advance for U.S./Indian civil space cooperation, as well as for the scientific activities critical to President Bush's Vision for Space Exploration." By Keith Cowing on March 5, 2006 11:42 AM. "Overlooked as a half-dozen Apollo expeditions landed on the moon two generations ago, the lunar south pole could figure prominently in NASA's plans to return to the moon with explorers. Satellite photos reveal that parts of Shackleton's rim are bathed in near-constant sunlight and hint that the frigid, permanently shaded recesses of the crater floor harbor ice deposits." By Keith Cowing on March 5, 2006 9:16 AM. Reader note: "I would like to ask you to consider posting a story on the planned demolition of the Bracewell Radio Observatory by Stanford University. Below is a link to the online petition to Stanford asking that they consider a NASA/JPL proposal to save the observatory. The observatory is considered a historical site as it was the first observatory to reveal the direction of the solar system relative to the cosmic background." By Keith Cowing on March 4, 2006 8:00 PM. "The current NASA budget for science is disappointing. Although it maintains JWST and provides for a possible refurbishment mission to HST, the sudden and wide-ranging retrenchments in this budget will halt, defer, or postpone programs to explore the solar system, to detect planets around other stars, to measure gravitational waves from astronomical events, and to seek the nature of the dark energy. Large, medium, and small programs are all proposed for cuts, without broad consultation with the community to see how best to shape NASA's program in times of finite resources. This seems unwise." By Keith Cowing on March 4, 2006 7:06 PM. "I was shocked that after testifying before your Committee yesterday, the first thing Dr. Mary Cleave did upon returning to her office at NASA Headquarters was to cancel the Dawn Discovery mission. She made no mention of her intention to do this while testifying."... "Considering the concern raised at the hearing yesterday about the poor reputation of NASA as an international partner, which reflects poorly on the US, cancelling Dawn is a surprise at that level as well." "Mark sees the cancellation of Dawn as typifying the fact that the NASA budget "has its priorities upside down," valuing high-dollar, expensive missions over all else." Editor's note: NASA Watch has learned that the shutdown costs for Dawn are $10 million - on a project that would take $40 million on top of what was previously estimated to complete - with 98% of hardware done - much of it already integrated into the spacecraft. Also, on the day that Mary Cleave killed the mission she received a letter stating that previous Xenon tank concerns had been resolved and that there was no longer any issue with it. As such, a spacecraft that is almost ready to explore Ceres and Vesta is going to end up in a box in a hangar. All this for $30 million. So far, as SMD AA, Mary Cleave is known only for the things she has killed. By Keith Cowing on March 4, 2006 6:56 PM. "I am the Chief Engineer of the SOFIA Program and under the current implementation of the iTA I am also the Systems-Technical Warrant Holder (STWH). This email is in regard to the SOFIA technical issues that were raised during the House Committee Hearing for NASA's 2007 Budget Proposal last week (February 16th)." Editor's note: Rep. Ralph Hall made specific mention of this memo in a question to NASA Science Mission Directorate Associate Administrator Dr. Mary Cleave during a House Science Committee hearing on NASA's FY 2007 science budget on 2 March 2006. By Keith Cowing on March 4, 2006 4:08 PM. "China will postpone the launch of its third manned space mission Shenzhou-7 spacecraft for about half a year to 2008, a senior consultant to the country's space program said here Saturday." MEPAG Meeting; Closed (again) to Taxpayers? By Keith Cowing on March 4, 2006 10:53 AM. "This meeting is open to all members of the Mars science community, including international colleagues." Editor's note: And just what does "all members of the Mars science community" mean? In the past this statement has been coupled with a statement that meeting is "not open to members of the press". Further inquiries revealed that the general public was not welcome either. At a time when Mars mission funding - and all space science funding is being cut - cloistered meetings aren't necessarily the best way to formulate strategy. If foreign nationals can attend, why can't U.S. taxpayers? (reporters pay taxes too). The Weekly Dual ISS Status Reports are Out! By Keith Cowing on March 3, 2006 4:17 PM. Editor's note: Last week I noted: "Once again NASA PAO staff at HQ just can't stand the thought of just one weekly space station status report going out - without having an HQ spin on it - so they take one developed at JSC - change a few paragraph breaks, and then issue a second one from HQ. They do this every week. It would be one thing if they just re-issued the JSC report verbatim, but no, HQ has to fiddle with things - even if the fiddling is utterly pointless and a waste of taxpayer dollars." Well, guess what, the two reports are now virtually identical with the exception of only one sentence. We're making progress folks! Perhaps next week, the two reports can be identical, and then (gasp) the week after that, the most difficult task of all: releasing only one version - to everyone. Continue reading The Weekly Dual ISS Status Reports are Out!. By Keith Cowing on March 3, 2006 9:45 AM. "WASHINGTON (Reuters) -- The Bush administration's focus on big, expensive space missions is starving budgets for some of NASA's most productive small-scale science programs, astronomers told the U.S. Congress on Thursday." Editor's note: This is what happens when a perfectly fine wire report (in this case from Reuters) has a new title added to it by an outlet which pays for the right to post their stories. I was in the room and saw who was there. With the exception of Mary Cleave (a former astronaut who actually made the budget cuts) everyone who was "blasting" NASA from the witness table was an astronomer, astrophysicist, or geophysicist. Contrary to what the title says there were no "astronauts blasting science budget cuts" -- at least not at that hearing ... Editor's update: The fixed it to read "scientists". By Keith Cowing on March 2, 2006 8:19 PM. "Carl B. Pilcher, NASA's senior scientist for astrobiology, said the cut would send the wrong signal to universities that had, at NASA's prompting, established astrobiology programs during the past decade. "The impact [of the cut] is not only on the amount of research that NASA can support, but also the willingness of universities and other organizations to make investments of their own in this field," Pilcher told The Scientist." "For reasons hard to fathom, one particular program, Astrobiology, is targeted for a 50-percent reduction. Astrobiology was specifically named by the Decadal report as an important new component in the R&A program and is recognized even outside NASA as the agency's newest and most innovative research program bringing biologists, geologists and space scientists together to understand the earliest life on Earth and how we might search for life elsewhere beyond our own planet." By Keith Cowing on March 2, 2006 5:51 PM. "The heads of space agencies from Canada, Europe, Japan, Russia and the United States met at Kennedy Space Center, Fla. on March 2, 2006, to review International Space Station cooperation and endorse a revision to the station configuration and assembly sequence." By Keith Cowing on March 2, 2006 5:39 PM. "In response to a question from Chairman Sherwood Boehlert (R-N.Y.), the scientists said that, if NASA did not get more money for science than it has proposed, then NASA should first preserve smaller scientific missions and research funding rather than setting aside funds for large, flagship missions. They said the smaller missions and research funding were more important to the continued health of their fields." "NASA's science programs have helped to nurture and develop generations of scientists and engineers through university-based research, participation in space science missions and data analysis," stated Ranking Member Rep. Bart Gordon (D-TN). "But NASA's proposed budget plan puts all of that at serious risk." "I am an advocate for the scientific exploration of spaceusing both robotic and human elements- with the emphasis on scientific exploration. I also believe in the President's new Space Policy and that the CEV is the right way to start. But this FY07 budget proposes to implement the 2-year old Vision for Space Exploration without sufficient funding, and as a consequence does considerable damage to NASA's robotic, scientific exploration program. NASA's plans have been called Apollo on steroids, but the budget provided is Apollo on food stamps." By Keith Cowing on March 2, 2006 4:15 PM. Editor's note: Upon returning to her office from this morning's hearing, Mary Cleave cancelled the Discovery "Dawn" mission. Curiously, with several hours during the hearing to do so, she did not bother to mention to the House Science Committee that she was about to do this. Editor's update: Reliable sources report that NASA called Dawn Principal Investigator Chris Russell today with the news of the mission's cancellation - just as he was off to attend his mother's funeral. By Keith Cowing on March 1, 2006 10:45 PM. How did NASA determine its science priorities for the FY07 budget? To what extent are NASA's priorities based on the decadal surveys in which scientists determine the priorities for their fields? Do those surveys need to be redone now that science funding may be lower than was expected? Editor's note: Gee that's an easy one to answer. I am reminded of the quote by famous bank robber Willie Sutton: "I rob banks because that's where the money is." By Keith Cowing on March 1, 2006 10:16 PM. "Senator Pete Domenici, Republican of New Mexico, and 56 other senators have introduced a bill to mandate a 10 percent increase per year in NASA's science budget from now through 2013." Reader note: "NASA's Science budget is $5.3B in FY07 and Aeronautics Research another $724M. So how is the authorized amounts in S.2198 a good thing for NASA Science, Aero, or BPR? These are 10% annual increases over a much smaller base than is already in the President's budget." Continue reading Increasing (?) Space Science Funding. By Keith Cowing on March 1, 2006 8:43 PM. "In another move last month, NASA slashed this year's budget for individual research projects by 15 percent, retroactive to last fall, yanking the rug out from researchers and their institutions that had already begun work. Dr. Cleave, the NASA associate administrator for science, acknowledged that she had been deluged with faxes and e-mail messages from scientists alarmed about these developments. She said the agency would be willing to adjust "the mix" in favor of more research and analysis, but added that something would have to give. "I have my budget; I don't expect relief," she said. "There's no free lunch here." By Keith Cowing on March 1, 2006 10:36 AM. "As mentioned in the Director's CD COMM below, there will be a Town Meeting held today to discuss LaRC's strategies for the future and the recent Strategy Implementation Retreat." Has NASA Found Its COTS Venture Capitalist/Advisor ? By Keith Cowing on March 1, 2006 10:07 AM.
" Naics Code: 523930 -- Investment Advice, Contract Award Amount: 115200, Contractor: Alan Marty"
JP Morgan: Alan Marty, Executive-In-Residence"Early in his career, Mr. Marty was an Associate Professor in Materials Science as Silliman University and served as a White House Fellow during the Bush administration in 1989." Nanobusiness Alliance: "Mr. Marty is executive-in-residence for JP Morgan Partners with responsibility for leading the firm's investments in the nanotechnology arena." By Keith Cowing on March 1, 2006 8:12 AM. "The man has been identified as 79-year-old James E. Collins of Rochester, father of space shuttle commander Eileen Collins. Jim Collins was in Elmira on Monday to hear his daughter speak at Edison and Notre Dame high schools. He spoke to a Star-Gazette reporter about his daughter's accomplishments on Monday after hearing her speak at Notre Dame. "I'm in awe of her," he said. "I really am." By Keith Cowing on March 1, 2006 7:52 AM. "If all other legal measures fail and the judge orders service cut off for most non-government users -- roughly two-thirds of the 3.2 million U.S. subscribers -- RIM has said it has a software solution that will work around its patent problem."